One changing point for me was reading Blog Marketing by Jeremy Wright lots of years ago. Made me rethink my entire online business orientation. All companies, large and small, know that reaching customers directly and influencing--and being influenced by--them is essential to success. 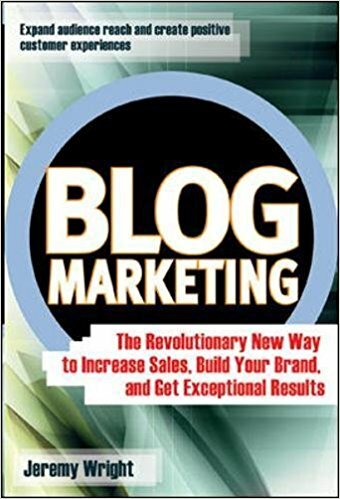 Blog Marketing shows marketing and PR professionals as well small business owners how to do just that without spending a lot of money. Readers will learn how to tap into the power of blogs to create a direct line of communication with customers, raise the company's visibility, and position their organizations as industry thought leaders.